Have you grabbed some serious bargains in the sale? I got a pair of boyfriend jeans and a pair of black sequin leggings for 5 euros each. It wasn’t planned but it certainly made my day! 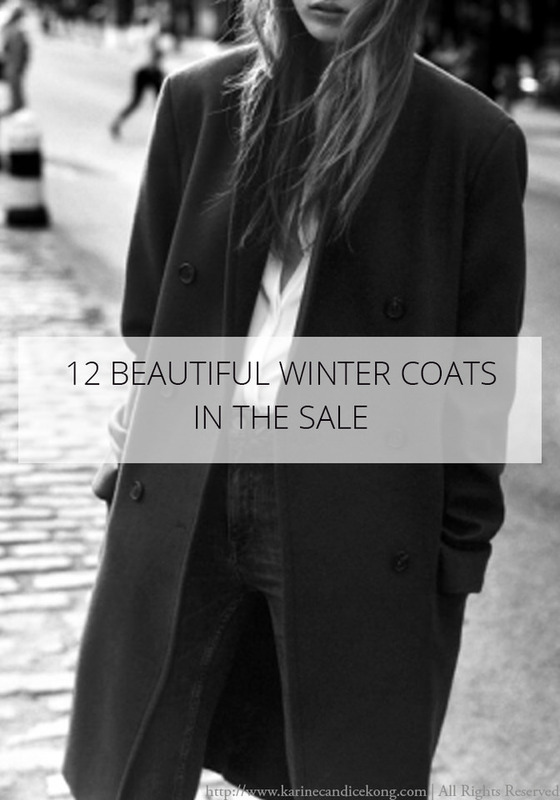 Since a good quality winter coat can be expensive, sale are a great time to grab a beautiful one from your favourite designer for a third of the price so I’ve rounded up 12 beautiful winter coats to get in the sale and some are up to 60% OFF. Enjoy! Which one(s) do you prefer? I have obviously a soft spot for the Marant bouclé coat and the Adnon wrap coat which I find very stylish and feminine. All beautiful! I especially like the Isabel Marant one.